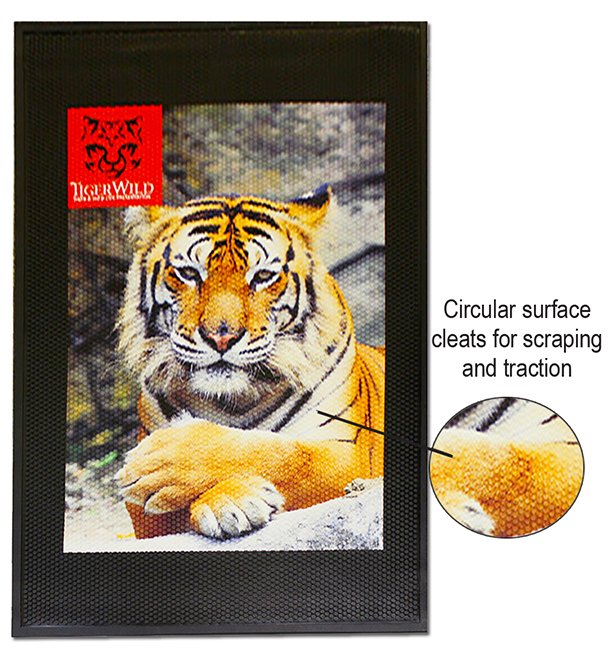 The SuperScrape™ Mat is made of nitrile rubber with digitally printed thermoplastic vinyl which can reproduce photographic quality logos. The durable bi-level surface has circular cleats for scraping and traction. This mat is made for medium traffic, indoor & outdoor use. UV, chemical and oil resistant. Made in the USA. Care: For dry soils, sweep. For wet soils, hose off. Pressure wash for a deep clean. Only use a neutral, solvent-free cleaner. All mats should be dry before placing back in service. Mats are bulk packed but can be individually boxed for $3.50 per box. All mats have a 3-5% size variance. Different designs, sizes and styles cannot be combined for higher quantity pricing. 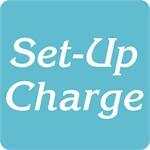 For logos: Add a set-up charge of $40.00 on new orders; $25.00 on re-orders.